How can we know the elect? That we are elect? These questions are answered clearly! 1. See Acts 13:48 "As many as were ordained to eternal life, believed." 2. See John 10:27 "My sheep hear my voice, and they follow me." 3. See 1 Pet. 1:2 "Elect...unto obedience." 4. See 1 Thess. 1 4. See 1 Thess. 1::3-5 "Knowing...your election of God... Gospel...followers of us." vs. 3 "work of faith, and labor of love, and patience of hope." Many find difficulty because they persist in thinking of Election apart from its great ethical and spiritual goal. The elect are always elect to some holy and useful end. Eph. 1:11-12 "That we should be to the praise of his glory". 1 Pet. 2:9 "That ye should show forth the praises of him." Eph. 1:4 "That we should be holy and without blame." Rom. 8:29 "Did predestine to be conformed to the image of His Son." John 15:16 "That ye should go and bring forth fruit." Nowhere in the Bible are men ever said to be elect to salvation as a mere place of divine favor apart from ethical considerations. True that men are said to be elect to a prepared kingdom (Matt. 25:34), elect to adoption as sons (Eph. 1:5), and elect to glory (Rom. 9:23). But all these have ethical implications: the kingdom is a kingdom of righteousness; the adoption is a position demanding a personal holiness; and the glory is first of all a moral glory. The election of God includes both the means as well as the end, both the obligations as well as the blessings. 2 Thess. 2:13-14 "But we are bound to give thanks alway to God for you, brethren beloved of the Lord, because God hath from the beginning chosen you to salvation through sanctification of the Spirit and belief of the truth: Whereunto he called you by our gospel, to the obtaining of the glory of our Lord Jesus Christ." 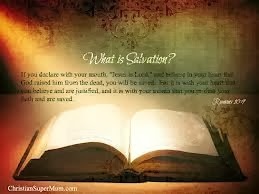 here the means: "Sanctification of the Spirit" end: "to salvation and belief of the truth"
1 Peter 1:2 "Elect according to the foreknowledge of God the Father, through sanctification of the Spirit, unto obedience and sprinkling of the blood of Jesus Christ: Grace unto you, and peace, be multiplied. means: "Thru sanctification of the Spirit" end: "unto obedience and sprinkling of the blood"
means: "ordained you" end: "go and bring forth fruit"
Why Did God Elect Anyone to Salvation? (1) God elects those who are good. Basis: personal goodness. (2) God elected those He foresaw would believe. Basis: Foreseen Faith. Almost makes election a permissive decree. (3) ***God elected those He purposed to save through faith in Christ. - Is the reason in man or in God? Basis: God's Sovereignty. (1) Election not based on the will of man - Rom. 9:16 "Not of him that willeth." (2) Election not based on the works of man - 2 Tim. 1:9 "Not according to our works, but according to his own purpose and grace." (3) Election not based on the choice of man - John 15:16 "Ye have not chosen me, but I have chosen you." (1) The ultimate source of Election is God's grace - Rom. 11:5-6 "According to the election of Grace"
(2) Our election is according to the "good pleasure" and "purpose" of a sovereign God. Eph. 1:5, 11 "According to the good pleasure of His will." "Being predestinated according to the purpose of him." (3) Our election is according to the "foreknowledge of God". 1 Pet. 1:2 "Elect according to the foreknowledge of God." The word “known” means more than mere knowledge. If that were all, then God knew all nations. It includes the determination and communication of good. God knows that ALL are sinners which gives the Creator rights to use as He purposes to bring about eventually His Kingdom here on earth where His chosen will rule and reign with Him where they abide in mansions prepared for them. grace purposes to save. Cf. also Gal. 4:9 "Are known of God." - Whatever it means, it cannot mean that God elects men on the basis of some meritorious act which He merely foresees they will do. In the case of Amos 3:2, God knows demerit, and for this He shows love and grace. Summary: God's election is of His Grace - this rules out all human merit. "But we are bound to give thanks alway to God for you, brethren beloved of the Lord, because God hath from the beginning chosen you to salvation through sanctification of the Spirit and belief of the truth: whereunto he called you by our gospel, to the obtaining of the glory of our Lord Jesus Christ." "According as he hath chosen us in him before the foundation of the world, that we should be holy and without blame before him in love: Having predestinated us unto the adoption of children by Jesus Christ to himself, according to the good pleasure of his will." (1) Predestination refers to the total plan - includes all things. - Hence includes both causative and permissive decrees. (2) Election refers to that part of the total divine plan which deals with the saved. - God predestines all things - He elects the saved. He does not elect the lost to be lost – they do through the refusal to accept the grace He offers to all. - Election deals only with personal beings. - Election always a causative decree. God causes that thing to take place. He allows sin but it is in His plan. And since all are sinners He has the choice of how He wants to use a person therefore He has a whole creation to use in this process. Psa. 148:8-12. He has Judas, He has Pharaoh, He has John the Baptist, He even has you and I. Many things have happened in my experience over 66 years at this point and of a few I know that the God and King of this universe has a plan that I still have trouble comprehending. He elects none to perdition but by grace He saves a few. This has to do with the saved. Bible never seeks to soften or modify the doctrine of Divine Election. 1. Our Lord defends the principle of election from the ordinary facts of human life. Christ elected some for favor. 1 year after the start of His ministry-came back home-went to synagogue to read scripture-stood up to ask permission to read and talk-He knew beforehand the scriptures to be read-Isaiah 64-Read right up to the middle of the sentence-sat down as the official position of a teacher just after beginning. Here He gave a lesson on Divine election. 2. Paul defends it on the basis of Biblical History. Note peculiar force of argument to the Jew. Children of promise; seed of Isaac; Jacob not Esau. 3. Its ultimate defense rests on the sovereignty of God. Matt. 19:30 - Matt. 19:30 - 20:16 First shall be last and last shall be first. He gave all in this account a penny. They all started at different times of the day. Ones that started late He still paid a penny because He wanted to. God does not have to treat all sinners alike which is the definition of grace. Some murmured, "Didst not thou agree with me for a penny?" Note: Many arguments against the principle of election are based on the fallacy that God must treat all sinners alike. - This takes us back to the question of Grace. Grace is unmerited favor. God is not dealing in justice but grace. And until you get that straight you cannot understand His elective moves with sinners which includes all of mankind except Jesus. Some sinners are not saved because they do not want to be. But still others are saved because God dealt in grace.